The aim of the present study was to compare the cardiodynamic parameters in the isolated rat heart in animals chronically treated with cisplatin, platinum(IV) complex and its diamine ligand. Sixty Wistar albino rats (8 weeks old) were divided into five groups: three experimental and two control groups. Animals in all groups were treated with a dose of 4 mg/kg body weight once a week for 4 weeks with different substances; experimental groups received cisplatin, ligand and octahedral platinum(IV) complex, and control groups received saline and dimethyl sulfoxide. After sacrificing the animals, hearts were isolated and perfused according to the Langendorff technique at gradually increased coronary perfusion pressures (40–120 cmH2O). The following parameters of cardiac function were continuously recorded: maximum and minimum rate of change of pressure in the left ventricle, systolic and diastolic left ventricular pressure, heart rate and coronary flow. The results showed statistically significant differences between all experimental groups in maximum and minimum rate of pressure development as well as in systolic pressure of the left ventricle, whereas cisplatin, ligand and the platinum(IV) complex had effects on heart contractility without significant influences on coronary circulation. The findings of the present study could be important for a better understanding of anticancer drug cardiac side effects. 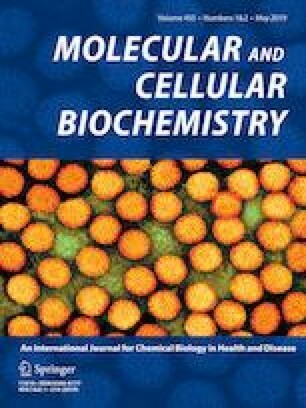 Our results indicate that compared to cisplatin as a “gold standard”, novel platinum complexes and ligands do not possess fewer negative effects on the heart, indicating insufficient safety for their usage in terms of affecting cardiac function, a result that can be of great interest for further investigations. This work was supported by the Faculty of Medical Sciences, University of Kragujevac (Junior Project No. 09/2011). None of the authors of the present study has any actual or potential conflicts of interest to disclose, including financial, personal, or other relationships with specific persons or organizations. All applicable international, national, and/or institutional guidelines for the care and use of animals were followed. Research procedures were carried out in accordance with European Directive for the Welfare of Laboratory Animals (86/609/EEC) and Principles of Good Laboratory Practice (GLP) and approved by the Ethical Committee of the Faculty of Medical Sciences University of Kragujevac, number: 01-4583.